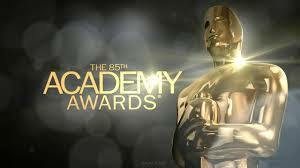 The 85th Academy Awards was yet another one to add to the books. Hosted by the very funny Seth MacFarlane the winners were surprising in some categories and not in others. As always, what the celebrities wear to the awards is very important to the designers and to the public who judge the celebrities clothing; more for the women then men. There are 24 awards to be handed out and each won has many nominees hoping to get the award. The biggest movie names were: Skyfall, Argo, Les Miserables, Silver Linings Playbook, Life of Pi, Zero Dark Thirty and Paperman. Skyfall was another James Bond movie that I would regard as one of the best, definitely Daniel Craig's best Bond movie but also one of the best ever. The new series of Bond movies captures the audience from the action movies we see today with the James Bond character we all like, except for Quantum of Solace. The Bond series celebrated 50 years of making movies and they are preparing to release another new movie with Daniel Craig in the next James Bond film. Skyfall won Best Sound Editing and Best Original Song. Les Miserables did not do as well as everyone expected but it still won Best Sound Mixing and Makeup and Hairstyling. Silver Linings Playbook had its lead actress, Jennifer Lawrence win Best Actress. Life of Pi won Best Visual Effects, Best Cinematography, Best Original Score, and best director Ang Lee. Zero Dark Thirty left with less then expected just Best Sound Editing. 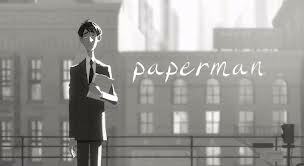 Paperman won best animated Short Film. Finally Argo won Best Film Editing, Best Writing, and the biggest award of the night Best Picture. Argo was a fantastic movie that I saw opening night. As soon as I left the theater I kowe it was going to win best picture. The movie followed a great story that was told ver well. The cinematography was amazing and every part of the story held meaning. 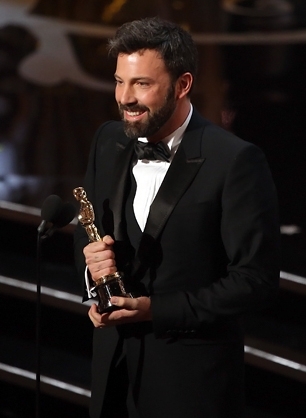 I am very happy to see Ben Affleck win, because he has been working hard on this project and he did a great job. Congratulations cast and crew of Argo. 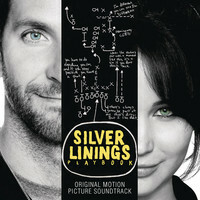 Silver Linings Playbook a warm, fun, and emotional drama comedy. Bradley Cooper plays Patrick, a man suffering from a mental breakdown, but he’s a man with a plan, determined to get his wife back, through exercise and self-improvement. While home from the mental hospital he must contend with his loving mother (Jacki Weaver) and father (Robert DeNiro), and his father’s desire for connection through their shared love of football, all the while attempting to stick to his goal of connecting with his wife. He meets an unbalanced young widow, Tiffany (Jennifer Lawrence) who promises to help him, in return for his help in achieving one of her dreams. Director David O. Russell creates some of the most natural scenes I’ve ever seen and heard, while characters talk over, under and through one another. The timing of the gags is perfect, which really adds to the genuine funniness of the film. I laughed a lot during this movie, and the reason being is that there’s no reserve with the characters. The rawness of the relationships and the dialogue of each character truly made a hilarious sight to both see and hear. The script is phenomenal and brilliantly thought out. Everything came together, one way or another in the film and there were many aspects of the film that seemed almost too complex to tie together at the end. The effects of mental illness are felt and evident throughout, rather than simply talked about or seen once. Because Patrick and Tiffany lack inhibitions or filters, the kind of genuine conversations or interactions that are available to them elevate this from the dull to full excitement. Patrick and Tiffany are in another place, and as their families struggle to be supportive, they find that their illness has removed them from their lives. They find that their problems are what make them so perfect for each other. With a not-so-perfect final dance, they realize that they are meant to be, and the silver lining is found. I started to watch the zombie apocalypse series last year and at the beginning I thought that it was very good. The story was great and all of the characters were intriguing. However as the show has been going on, the story seemed to get old. Every episode was just them fighting the zombies, or walkers, and trying to survive in a post apocalyptic world. The one thing that I hated most about The Walking Dead was that they always killed off my favorite characters and left the characters that I disliked alive. For instance, two of my favorite characters were Dale and T-Dog but both of them were killed off. Meanwhile the characters that I absolutely did not like, such as Carl, stayed alive. I liked Rick's character for about the first season and a half but after that he became sort of a dictator for the group and constantly messed things up. I was annoyed even listening to his character. The only character that I have consistently liked is Daryl Dixon. Daryl is a redneck equipped with a crossbow and is key member of the group. At first he kept mostly to himself but over time, he has integrated himself to become more of a team player. He acts as a protector for many members of the group and is now Rick's right hand man. I thought that the first season of The Walking Dead was fantastic but the second season took a downfall. The show is now in its third season and it is going uphill. Rather than having the main story be Rick and the gang fight zombies, they are fighting The Governor, a ruthless leader of a town called Woodbury. I think what the show really needed was a single antagonist and with The Governor, they achieved that. The Walking Dead was missing the human element that makes the characters more relatable to the audience and once The Governor and the people of Woodbury were introduced, the show gained that missing factor. If I were to give the producers of The Walking Dead some advice, I would stick to focusing the show on conflicts between humans and not so much with the zombies. The main focus should have to deal with humans but remember to make the fear of the zombies always present. 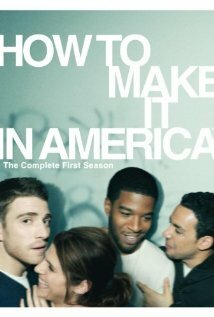 Last night, I watched the pilot episode of the HBO series, How To Make It In America. It is a series starring Bryan Greenberg as Ben Epstein and Cam Calderon, played by Victor Rasuk, focused in Brooklyn. Along with their friends, the two are trying to jumpstart their road to the American dream by fulfilling their entrepreneurship ambition. Within the first episode, we met the main characters and learned a little bit about their life style and how they are all connected, just like a typical pilot episode. But, from there, we also saw the plot greatly develop with Cam’s cousin, Rene, returning home from jail. Cam secretly took a loan out from Rene in order to help Ben try and start a company, but lied to Ben and told him that he received it from an investor. As a result, they need to find ways to pay the money back, so the plot has begun. There is also development between Ben and Rachel, Ben’s ex-girlfriend who he has not been able to get over. During the pilot episode, he ran into her for the first time with her new boyfriend, causing jealousy and relationship insecurity for Ben. Overall, I was not blown away by this pilot episode, but I did enjoy it because it was very interesting. I am not a big fan of pilot episodes to begin with because they normally just establish the characters and do not have any development, but this pilot had more to it than that. I also really enjoyed the artistic aspect of the show, which was the photography. In order to establish a new scene, they used photographs from that scene in order to establish what is going on. It was also used in the opening sequence, which was one of my favorite opening sequences for any show I have ever seen. This whole idea added a very cool aspect that really drew me in. I will definitely continue to watch this show to see how it develops, both character wise and plot wise. For some people, movies where Denzel Washington plays a modern day gangster are getting old. For others, watching Denzel out-smart and out-gun everyone else in a fast past action thriller never gets old. I'm definitely part of the Denzel fan club. 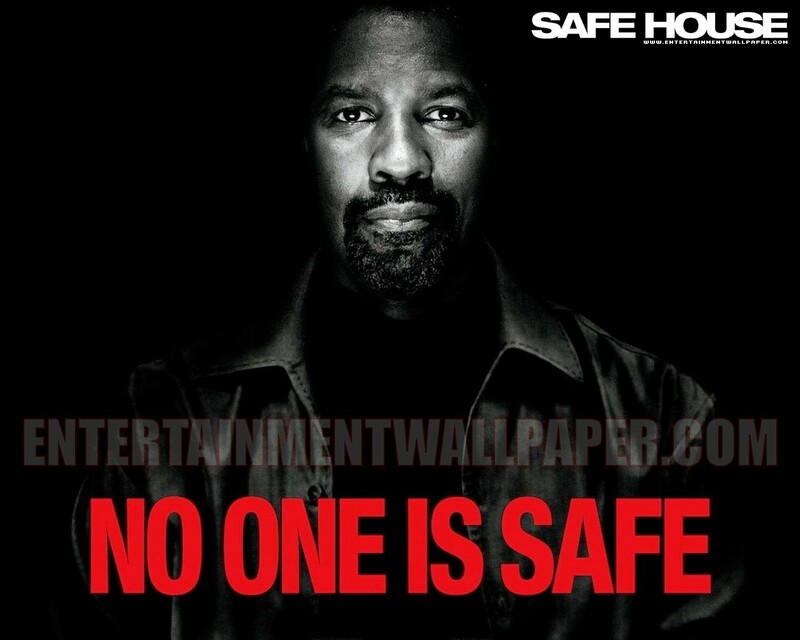 I thought in the movie "Safe House", Washington made up for what was another terrible performance by Ryan Reynolds to take what was a cool plot, and it make it into a decent movie. 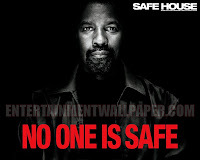 What makes "Safe House" a good movie is also about, what I thought was, a great script. Although we have seen Washington in this role many times before, this time, the multiple twists and turns that this movie takes make it good. When the movie begins, Washington's character is a rogue agent that is wanted by the CIA. for many different crimes he has committed. As the plot unfolds we soon learn that Tobin Frost (Washington) is actually running from what is one of the biggest cases of corruption in CIA history. Of course there is a fair share of Denzel shooting his way out of sticky situations and also out-smarting everyone that he comes across. However I thought the best part of the movie was the major plot twist at the end that has the head of the CIA's mission to capture Frost, actually being the corrupt individual all along. Despite acting like a good citizen the entire movie, David Barlow ends up being the reason why Frost went rogue in the first place. All of this is well over Ryan Reynolds' characters head, and he doesn't know what he has gotten himself into, until everything is finally revealed at the end of the film. Since we see the movie from Reynolds' prospective, the audience is kept in the dark the entire time as well. The ending really ended up being one of the better endings I've seen in this types of action-mystery movies recently. Despite getting Denzel Washington's typical performance, I don't really understand why Ryan Reynolds continues to try to break into the action movie category. Not that he was terrible in this movie, he just isn't an action movie star. It's not my taste, but he belongs in those romantic comedies that we typically see him doing. He really is pretty decent in those roles. He wasn't a terrible choice for this role, but he clearly didn't belong in an action movie with Denzel Washington. All and all I'd recommend this movie to someone looking for something new. It's not an unbelievable movie, but Denzel Washington movies are always great to watch. The Fall is a film set in 1920s L.A. in a hospital where we meet a little girl, Alexandria who has recently broken her arm while picking oranges with her family. She becomes friends with Roy, an actor and stunt double in silent films. He has recently broken his legs and they are possibly paralyzed. He starts telling Alexandria a beautiful story about love, revenge and adventure and uses this to get her to steal Morphine for him. This film is actually based off another film called Yo Ho Ho, a Bulgarian film where instead of a silent film actor, Roy's character is a stage actor and Alexandria's character is actually a boy and also is tricked by the Roy character to get drugs. I've seen posts about this film for a while but have never seen it until now. I'm in love with Lee Pace, so after a bunch of Tumblr posts about it, I finally added it to my instant que. The cinematography was phenomenal. Even though this film came out in 2006, I want them to resubmit the film and get all of the Oscars for cinematography Lead Actor and Lead Actress. That little girl who played Alexandria broke my heart. She deeply cared for Roy and just wanted to stay with him and listen to his story. Roy is just so caught up on not being able to act and that his girlfriend has left him for the leading man that he doesn't see how much he's influencing this little girl. As Roy's telling Alexandria the epic, it breaks the fourth wall within the film universe. At one point Alexandria sneezes and they incorporate that within the dialogue the epics' characters. You also get the narration from Roy and Alexandria's feedback. Once and a while she'll break in and say what she wants to hear from the story. It's an adorable way to play with the imagination of a five year old. I cried. Yes, I admit it, I cried hard. This is one in a handful of movies that I have actually sobbed during. Lee Pace is amazing in this film. The colors were so vibrant and breath taking, I could just watch it again just to purely look at the color schemes. 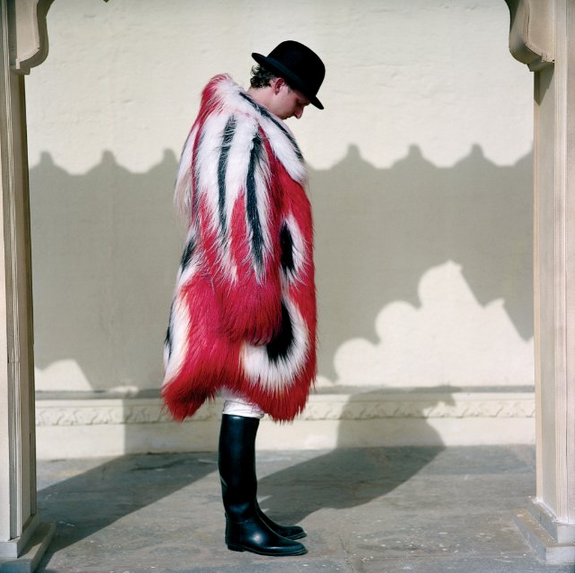 I mean, just look at Charles Darwin's fur coat (Yes, he's based off of the real Darwin which I found clever since he was still pretty controversial in the 20s). That red stands out so beautifully. Gah! I want to live in those colors! If you ever get the chance to watch The Fall, I highly recommend it! Bring extra tissues because you will be surprised at how emotional you will get during this film. It's Always Sunny= It's Always Funny! This week I finally gave to my roommates’ advice and gave the show It’s Always Sunny in Philadelphia a real shot. Before this happened, I had only seen bits and pieces of the show and found what I saw to be very loud and too over the top for my liking, but little did I know that I would become instantly hooked on this series. The show takes place in a bar in South Philly and it is co-owned by the show’s leading characters. 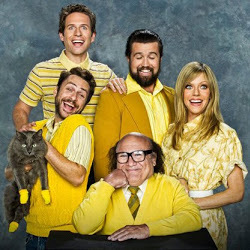 The show stars Danny Devito, Charlie Day, Kaitlin Olson, Rob McElhenney, and Glenn Howerton. The show is based on the crazy activities that go on in their pub and the hilarity that ensues shortly afterwards. Each character possesses a certain negative quality to themselves and combined they create a recipe for disaster. Regardless of their poor individual qualities the viewer often sympathizes with their actions because they are too funny to actually dislike. What I enjoy the most about this show is its consistency. From seasons 2-6 I cannot think of an episode where I did not find myself laughing hysterically. If you are into a slapstick type of humor willed with many great punch lines and plenty of other comedic elements than this show is definitely for you. As a scriptwriting minor and hopefully, a future television writer, I have spent a lot of time trying to find the best (and easiest) way to structure a story. The typical three-act structure was not cutting it for me, as it left too much to interpret; dividing an episode of television up into three identifiable parts was difficult and messy, especially with the commercial breaks. As a scriptwriting minor with a serious affection for NBC's Community, though, I have found the structure that I was seeking through the work of the show's creator, Dan Harmon. Since the 90's, he has perpetuated the idea of the "Story Circle", as seen below. 2. But they want something. 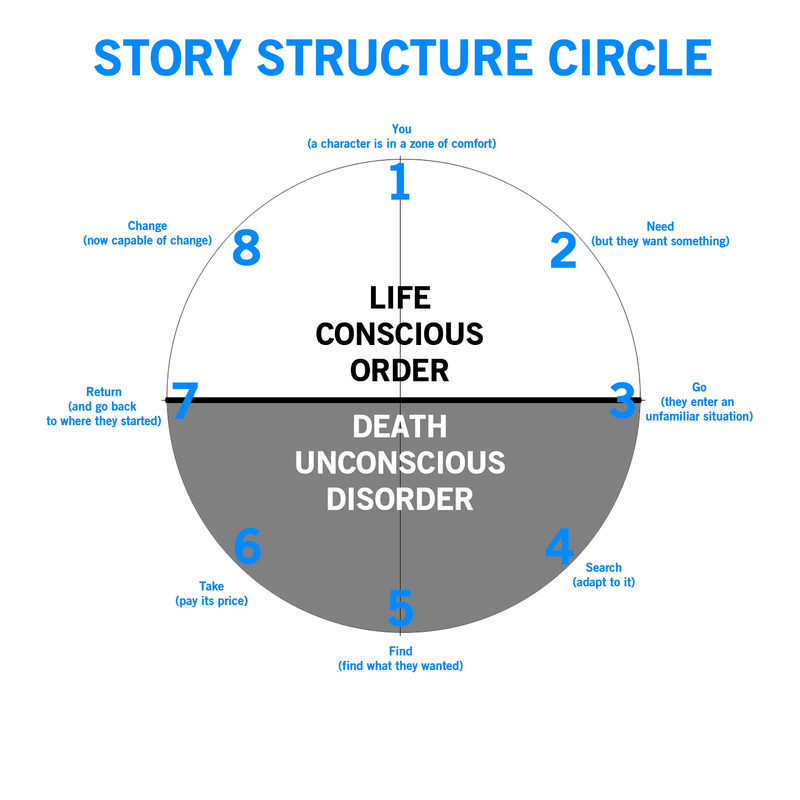 As you can see, the Story Circle does not vary from the three act structure, but instead expands and develops it. Watch an episode of Community. I would wager that in 75% of the episodes (or maybe more), all seven of the main characters go through this circle, whether in an elaborate way or not. Dan Harmon released a series of six well-written tutorials to teach his formula, the first of which can be found here. He also graciously includes a sixth tutorial which explains the use of this character-changing formula within the realm of television, a venue which is notoriously stagnant in that regard. So I was recently able to cross a movie off my list of must see films; this film was City of God. I heard so many good things about this film recently that I had to see it. So I made some popcorn, sat down, and watched this amazing film. A crime drama set in the slums of Brazil is something I never would thought of, but I'm sure that there is much truth to this story. The director Fernando Meirellles is well known for his films like Blindness and The Constant Gardener. The Constant Gardener tackles the real life issue of medical companies using third world countries as test areas for their drugs, and gives expired medication to the poor and sick, all for a tax write-off. The movie deals with death as an every day occurrence, and in the slums of Rio De Janeiro it very well could be. The cinematography in it is amazing. The opening scene is a combination of fast a fast paced Spanish guitar with perfectly cut together clips of a group of hoodlums chasing a chicken. The rest of the film follows suit. The characters are easy to like or to hate, and you do feel saddened when they are dispatched. Ebert and Roper called this film "one of the best you'll ever see". I agree and disagree with that statement. As far as the topic and cinematography goes this is a film like I have never seen before, a dark horse that comes out of nowhere to astound and entice the viewer. But the plot like was a bit rough, things come out of nowhere with little or no explanation before hand, and leave you confused until they explain it five minutes later. Overall I really enjoyed the film and have seen it twice in four days, but does it crack my top 25 films, no. The biggest night in showbiz is around the corner everybody, with the 85th annual Academy Awards being this Sunday night! I am extremely excited to watch them as this year has not only seen some incredible films, but the awards are being hosted by the immensely funny Seth Macfarlane. Seth will surely bring some much needed spice to the awards this year, which is something it's severely lacked the past couple of years. Now on to the nominees! One of the biggest stories at this years Oscars is the fact that Daniel Day Lewis could win his third Academy Award for Best Actor thanks to his unbelievable performance as Abraham Lincoln in "Lincoln". If Day-Lewis wins, it will mark the first time in history that an actor has won the award three times, an unprecedented achievement. I personally have no doubt that he'll succeed in doing so, as any of you who has seen Lincoln will agree with me, not to mention he's brought home every major acting award this year. Another big story is the nomination of 9 year old Quvenzhané Wallis for Best Actress, making her the youngest nominee for the category in Oscar histroy. That's pretty damn amazing. With fellow nominees Jennifer Lawrence, Jessica Chastain, Emmanuelle Riva (who consequently is the oldest best actress nominee in history at 85) and Naomi Watts, she's up against some stiff competition. I'm rooting for her to pull off the upset though! 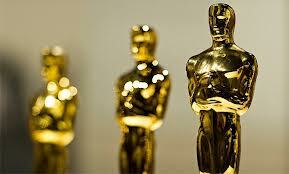 This years Oscar's will be one to watch, WATCH THEM. I know I am. While continuously pointing out the flaws in mediocre movies is enjoyable, being so negative all the time is depressing. Therefore this blog I shall attempt the impossible and write positively about an adaptation. Last blog I gave my general opinion on adaptations, for the most part they’re not that good (especially the remakes of comic series (with very few exceptions)). This usually has to do with the story (basically the most important aspect of the movie) being utterly unfaithful to the original source material, or just not being creative enough to really bother seeing. However there is an exception to every rule and in my case I find “The Lord of The Rings (originally written by J. R. R. Tolkien)” movie series (directed by Peter Jackson) to be an exceptional example of what adaptations can be if they’re done right. I have this opinion of this set of adaptations for several reasons. Firstly the cinematography is breath taking. The Shire is pretty much exactly what I pictured when I first read the books, Rivendell is beautiful (which is to be expected), Moria is an incredibly creepy underground labyrinth, ect. The design of the supernatural beings, the Ringwraiths, Orcs, Trolls, Ents, ect, is just plain good. The music is epic, the characters are great (Sam is my favorite) I could go on. But what I like most about these movies is the story. Frankly it’s just done well. Partially because the right people were found to play the main characters. Also partially because redundant characters from the books (e.g. Tom Bombadil) have been removed. Lastly there is also the pro that the movie doesn’t take two chapters to describe something that could be said in a paragraph. Or in film terms, a few minutes and several good close ups, wide shots, tracking shots, panning shots, ect. I found a promo for this fascinating documentary last year on StumbleUpon while I was on a Youtube-video kick. The promo was so fascinating I shelled out the 5-something Euros to Seb Monatz, the creator of the film. I was more than happy to pay the relatively cheep fee to watch, besides I knew it was going to support a great filmaker. The sound in particular stands out, every clink of the carabiner, every crumble of the rocks. Even their footsteps were vibrant in the film. It made me realize how much the sound can affect the way I view the film. I wouldn't consider myself a daredevil, far from it in fact, however base jumping some beautiful mountain range in France is now on my bucket list. 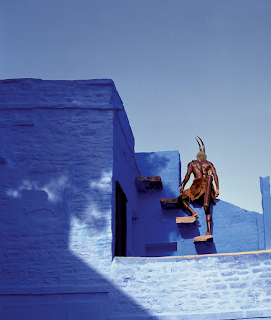 The cliff-top views in this film are breathtaking, just imagine seeing them in real life. Of course going with a GoPro would be essential. 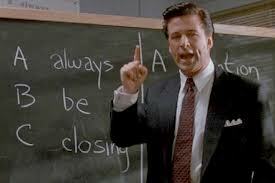 This week I watch the film Glen Gary Glenross which was originally a play written by famed playwright David Mamet. The film adaptation features a cast of legendary proportions. It stars Al Pachino, Kevin Spacey, Alan Arkin, Ed Harris, Jack Lemmon, and Alec Baldwin who perhaps delivers one of the most intimidating monologues that I have seen. The film takes place in urban Chicago where it is centered on the sales office of vacation real estate property. Four salesmen are forced to participate in a sales competition where the man who made most sales would receive a brand new car. The man coming in second place received a set of steak knifes and the remaining two would be fired. Baldwin plays a successful businessman who is sent by the owners of the company to weave out all the unsuccessful workers out of their firm. His seven-minute speech is chilling, yet magnificent. I highly recommend youtube-ing it. The film does a great job of using 180-degree turns on their shots. When the conversation was being transitioned from one character to the next the shot would swivel while staying in focus, which I thought was a cool effect. I recommend the film to all. Browsing through Netflix as I always do, I came across a show I had never seen before. I've heard about it through friends and peers, all of which had pretty positive feedback about the show. I decided to watch the pilot and I liked what I saw. 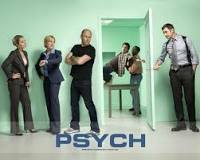 Psych follows Shawn Spencer, an unemployed young man who is extraordinarily attentive to detail. His attention to details helps him solve crimes that he sees being committed on the news. That is, until police start to suspect Shawn's knowledge and claim that the information he is turning in can only be known by inside sources of the crime. When being accused of this, Shawn claims that the reason he knows the solutions to all of the cases is that he is psychic. The show is very comedically written. There are many one liners that killed me. For example, when Shawn and his buddy Gus are searching through a garbage can to find some evidence, they find nothing of significance. However, Shawn is focused on other things... "This CD case! It's totally nice! Put it in the car...". In addition, there is also a scene where Shawn mocks psychics, which I found clever and funny. He played on the fact that all psychics base their readings off of what the client wants to hear. "Your grandma would be very proud of you" said Shawn to a police officer, trying to prove he is psychic. Along with the comedic script, the relationship between Shawn and his friend Gus is very "superhero and the sidekick". Shawn is gusty. He thinks he can get away with being a psychic, but Gus hesitant at first. He doesn't want to help Shawn open their own detective agency because he is the character with the more logical way of thinking. I feel like the relationship between the Shawn- the main character who is getting himself into something crazy, and Gus- the best friend who is more serious and logical, creates a very nice comedic conflict between the two characters. I'm excited to see how their relationship continues to form. A very nice sound effect is added also to add aural attention to what Shawn is thinking about. In addition to the added color special effects, a nice array of "woosh" and "ding" sounds are added to draw attention to what is going on in Shawn's mind. Overall, I enjoyed Psych. I'm probably going to continue watching it. It's not my favorite show, but I liked it. Season 2 of NBC's musical-drama SMASH premiered 2 weeks ago, to an average size audience. The premiere was a 2 hour spectacle full of guest starts like Oscar winner Jennifer Hudson and Tony winner Harvey Fierstein. The show was largely revamped from last season's disastrous mess of characters that no one liked, story lines that were too ridiculous for soap operas, and writing that was so over the top even greeting card companies would have made fun of it. Show creator and writer is Theresa Rebeck a well known playwright. Add executive producer Steven Spielberg, actresses Debra Messing and Angelica Houston and you would think the show could survive right? Well last weeks episode was rated an all time low for the series with 3.3 million viewers and .9 million in the 18-49 age range. But what makes this show so undesirable? So what makes this show so unlikable by viewers? My guess would have to be the characters. I can't say there is a character whom I wouldn't care if they died or were written out of the show. They already have written a few characters off of the show since season 1, but they still have a lot more work to do if they plan on maintaining viewership. I think characters are what keeps the audience for a Tv show, you come back each week to check in on your favorite characters. They should be relatable and dynamic characters the audience can follow and cares about. New to season 2 is Jeremy Jordan an Ithaca College grad. He graduated IC with a BFA in musical theatre. I'm so proud to see an Ithaca alum on the TV screen, even if I do happen to hate his character. I think Smash needs to get it's act together before NBC cancels yet another one of it's shows. Quentin Tarantino is truly a bold filmmaker. If you couldn’t tell he really, loves spaghetti westerns. But for his version of a spaghetti western, he doesn’t just explode the conventions of the genre; he uniquely and creatively molds all aspects of the genre into a sincerely fun experience. 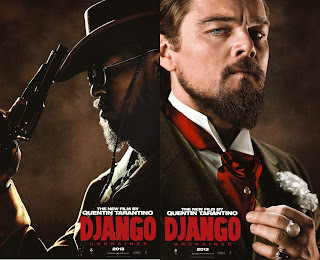 Django Unchained stars Jamie Foxx as a slave who is purchased by a roving dentist/bounty hunter named Dr. King Schulz (Christoph Waltz), who agrees to free him and help him find his wife (Kerry Washington) if in return he will help track down a trio of killers called The Brittle Brothers. What proceeds is the growth of an unusual friendship and a whole lot of violence and excitement. This film is beautifully constructed in which, Django goes from being a slave to being not only a free man, but also a professional bounty hunter, trained by Schulz and becomes his partner. There are encounters with an amusing predecessor of the KKK (played by Don Johnson), a small town sheriff who is not what he seems and, the very proper southern plantation owner, Calvin Candie (Leonardo DiCaprio), along with his right hand man, house slave Stephen (Samuel L. Jackson), who is absolutely hilarious in every one of his scenes. Frequently, Tarantino gets us to laugh at the most outrageous situations and then we stop for a second feeling uncomfortable, just before going ahead and laughing at the next shocking situation. But there is not that is exactly the reaction he wants. He also wants the audience on the edge of their seats in tense moments and very emotionally touched in others, and it’s his use of completely inappropriate humor in such a deliberate manner, and to such a brilliant effect, that makes his films what they are. His ability to do this is just one of the things that separates him from his imitators. Another one of his great qualities is his ability to fold quotes from other films (and even his previous work) into his movies. In this film there’s one particularly moment that comes directly from Kill Bill. The moment takes barely a second, but it’s a moment of great violence and beauty.Tarantino also uses music from his favorite other films and recreates them in clever ways to enhance his unique way of directing even more. The soundtrack for Django Unchained makes use of music from a number of westerns in a mix with a few original songs and splendid mash-ups but everything seems to flow together genuinely. Django Unchained is kind of a typical Tarantino film in that it’s a lot of violent, bloody fun, BUT also in that it deals with a very serious topic in a mocking manner. Nevertheless I advise everyone to go see this film whether you like Tarantino or not! I Can't Wait For Breaking Bad! The Sixth Sense is just so good! Does Anyone Even Watch This Show? Season 4, more like Season SNORE! AYOO! I got it! I got it! I don't got it.